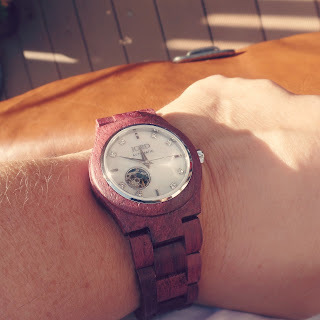 The Purpleheart and mother of pearl design is absolutely beautiful. 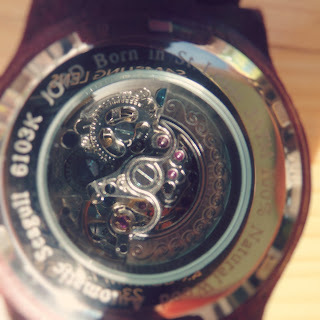 I particularly loved the window feature giving us a glimpse into the workings of the watch both at the front and the back. 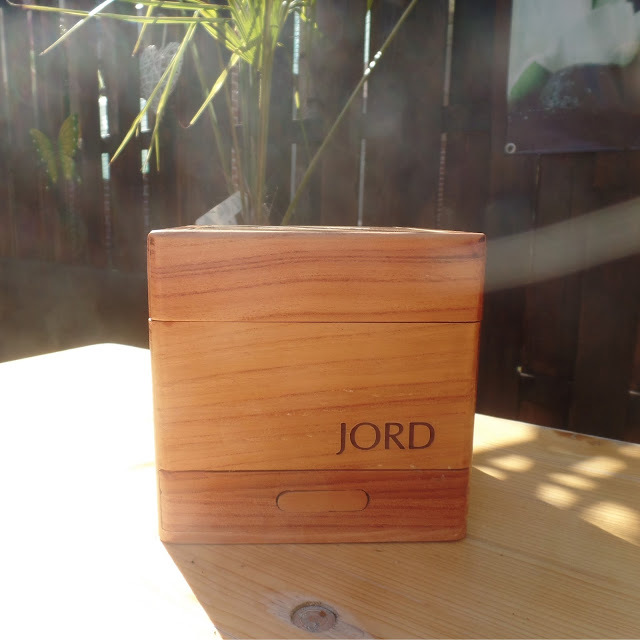 The Purpleheart is a real eye catcher, in a rich purple colour with a fine natural grain pattern and is offset perfectly by the beautiful, high quality mother of pearl face. 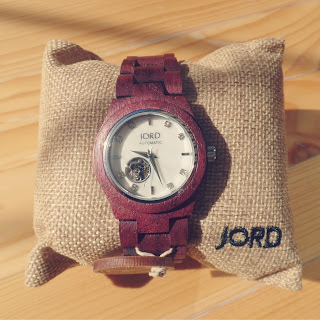 Whether off to work or relaxing at home my Jord watch suits my lifestyle perfectly. Smart enough to transform any outfit but also to adapt to a more relaxed wardrobe. And how does it feel? It feels amazing, really smooth and light and also natural! 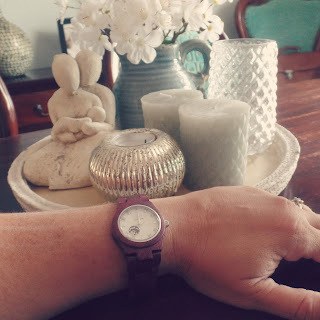 I have been proudly showing it off to friends and colleagues who have all been really impressed with the style of this wooden watch. 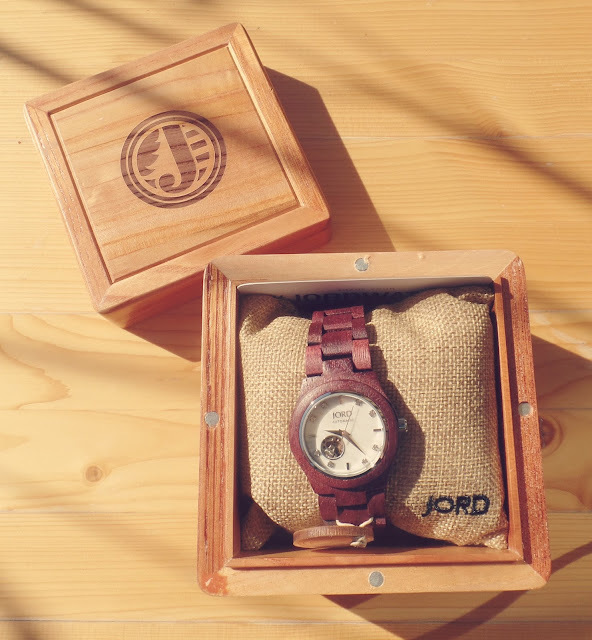 If you are looking for a really unique timepiece that is well designed, on trend and comfortable to wear then take a look at Jord watches. I am over the moon with mine!